What do crockpots, coffee shops, sports bars and yoga have in common? For a 21st century evangelist, they can all be a part of New Church Development. Anything that brings people together, then bonds them together, can pave the way for a relationship with Jesus Christ, say today’s church planters. 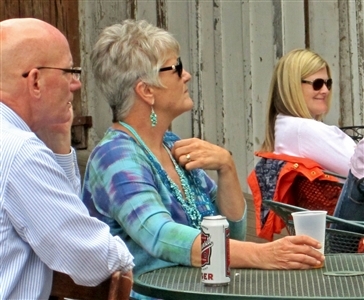 Above, Bill and Barb Furlong, left, and Stacy Collins enjoy Collective's Easter service at Cafe DaVinci in DeLand. Below, Robbie Carelli and Michael Furlong lead musical worship in a small, casual setting at Collective, a new church initiative in DeLand. Photos from Collective. For example, a group of people who ride bicycles together may regularly include a stop to discuss a Bible passage, said Rev. Dan Jackson, New Church Development director for the Florida Conference. In fact, Jackson predicted that new church starts actually involving new congregations in new buildings will be rare for the Florida Conference in years to come. More common will be second-site worship groups that remain under the wing of a healthy church but meet at a different time and place – possibly even in commercial eateries and coffee houses -- drawing people of similar interests together. The strategy is expected to dovetail with another disciple-making effort being launched in the conference, tentatively called Fresh Expressions. Rev. Audrey Warren, pastor of Branches UMC, Florida City, and a co-convener of the initiative, said Florida Conference leaders will meet Nov. 17-18 with Virginia-based Fresh Expressions US to discuss the possibility of a formal partnership. In the meantime, some conference members already are practicing what they preach. Warren cited a ministry in North Florida, where Methodists take tents, crockpot meals and a guitar to a trailer park and worship with residents there. At her own church, she leads Yoga Chapel, a spiritual experience that combines scripture and exercise. Jackson likens his task to the mission field of old, when Christianity was young and largely in the hands of a firebrand preacher called Paul. Today’s climate requires church planters to target not only lapsed Christians but the huge number of people who have no faith or church experience at all. Sometimes that means working with existing congregations that are growing to determine if the results can be transplanted elsewhere. “I believe our future as a conference is in finding what’s working and then capitalizing on that,” Jackson said. The conference also is investing more in preparing new clergy for the challenges of church planting in today’s culture, he said. New church planters typically will spend at least a year in ministry in a healthy congregation, then another year in planning for an off-site disciple-making ministry before launching the effort. Church planters also receive training through a series of seminars under the New Church Start Academy program, which began in August. Jackson is no stranger to preaching outside traditional church walls. As a pastor in the West Ohio Conference several years ago, he led Bible study in a bar for three years. The ministry started as a joke, when a member of the church’s men’s group asked how he could get more men to attend church. “Someone said, ‘Bet if we had it at Ralphie’s (they would come),’” Jackson recalled, referring to a popular sports bar in the community. Jackson saw the genius behind the jest. “The first night we ran a men’s Bible study there, we had 40 men,” he said, adding that customers saw the discussion group and moved to join in. Some churches, like University Carillon UMC, Oviedo, on the edge of the University of Central Florida campus, have managed to draw younger crowds by offering praise band services at times other than Sunday morning. Still others are experimenting with interactive, online services. One of the challenges of new church planting methods listed by Jackson is getting traditional worshipers to understand that the newcomers may never gravitate toward the age-old customs of coming to Jesus. Jackson said one way of growing in faith is to accept that these alternative worship styles are no less authentic than the traditional Sunday morning experience many Methodists grew up with. 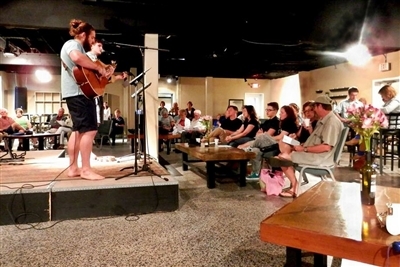 Among budding expressions to watch is Collective, a Sunday night worship experience that meets in a former newspaper outpost in DeLand that has been outfitted to resemble a casual eatery. Jackson described an eclectic blend of furniture, including a couch, coffee tables and high-top tables with chairs. “You feel like you walked into a lounge someplace,” he said. The atmosphere is meant to create a feeling of intimacy that works only in a small setting. That poses some challenges for financial support, Jackson pointed out. “It only works if you can get a low-cost facility continually,” he said. Though meeting on its own, Collective, billed as a “misfit faith community” on its website, is supported by the long-established First UMC, DeLand. The community’s pastor, Ben C. Collins, didn’t grow up going to church but found his faith as a high school student attending a Baptist church. He answered a call to ministry in college, working as a Baptist youth minister while attending Stetson University. He later became exposed to Wesleyan teachings at Asbury Theological Seminary. Collins said he had a “rough time” early on as he pursued traditional preaching, and he thought he was leaving church ministry a few years ago. He began meeting with a group of people for Bible study at his home, then at a local bar. “I guess I’ve kind of always known that the underside of people who wouldn’t show up in church on a Sunday morning were the people I was called to connect with … those people with one foot out the door and those hesitant to come in,” Collins said. About a year and a half ago, he had his clergy credentials transferred to the Florida Conference and joined the First UMC staff in DeLand, with the express mission of nurturing Collective, which now attracts about 80 people to weekly worship. The ministry also counts followers in Portland, Ore.; Los Angeles; Washington, D.C.; and Nashville, Tenn., among online participants who regularly participate in the offering. The Sunday evening experience appeals to people as eclectic in their backgrounds as the furniture in the worship space. Some are former Catholics, Episcopalians and Quakers, and at least one has followed Buddhist traditions and likes the inclusion of meditation in the service. A few people had no religious background before finding Collective. 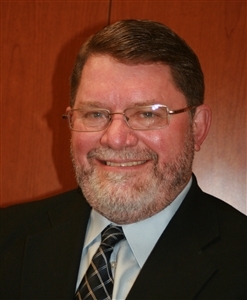 Many work weekends, particularly late-night Saturday shifts that make Sunday morning church a challenge, Collins said. Others simply prefer not to break up their weekend with worship attendance. The ministry has attracted some young families and a surprising contingent from the older generation, with the oldest being 84, Collins said. “One of the unique things we have identified is that we’re definitely, markedly millennial in our theology and philosophy,” he said.